According to Jimmy, his father was wealthy, and even played host to President James Buchanan at the family home in Pennsylvania. But after becoming addicted to cocaine, Jimmy left behind a career as a lawyer, and instead spent his time working on and off as a janitor at the Sergeant building at the corner of Fifth and Main. The reporter observed that Jimmy talked little of his past. One lawyer who doubted Jimmy’s former occupation as a lawyer was stunned when Jimmy began quoting sections from Blackstone’s law almost verbatim. In manners, he was always extraordinarily polite, always thanking anyone who helped him and making sure to say hello to others. Although the moniker “Cocaine” was understandable, there was no explanation as to why he was called “Jimmy” when his given name was Daniel. His friends had pooled enough money to put Jimmy through an unspecified treatment program which seemed to be working until he suffered a painful bout of inflammatory rheumatism and relapsed. Sadly, Daniel “Cocaine Jimmy” Shannon did not live much longer. He was discovered unconscious behind Ferguson’s Saloon by members of the Joplin Police Department who carried him to the Joplin City Jail. 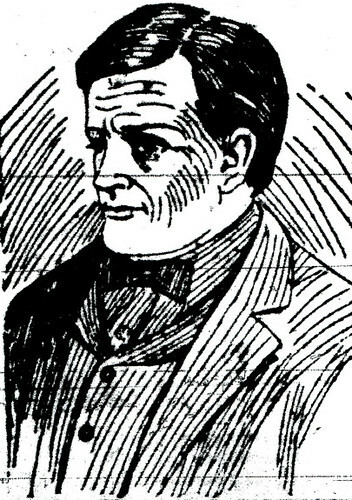 He was remembered for his daily plea of, “Give me a nickel.” Although he “was a well known character upon the streets, he never figured conspicuously in police court, and was but seldom arrested.” When arrested, it was for begging or for passing out on the street. In his obituary, it was noted that he “was an expert pianist and during his career in Joplin frequently was employed by proprietors of beer gardens and north resorts as a pianist.” Despite three desperate attempts to be cured of his habit, Jimmy died, and his body was held at the Joplin Undertaking Company until family members claimed the body. Where he was laid to rest is unknown, but one wonders if his ghost still lingers on the streets of Joplin, still looking for one last fix. This page took 0.207 seconds of computer labor to produce.